The Smite series moves in an interesting new direction. Thousands of players are already in love with Hi-Rez Studios’ mythological MOBA, Smite. Now, the developer is hoping to make those same fans enamored all over again with the upcoming strategy-based spin-off game Smite Tactics. 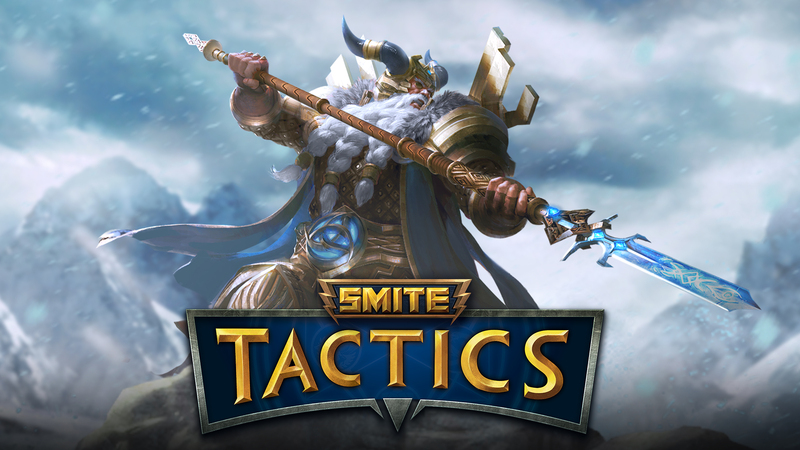 Much like in the original Smite game, Smite Tactics will allow players to take on the role of gods from various mythological pantheons such as Greek, Chinese, Norse, and Egyptian. However, players will also have to construct a custom deck of minions and spells which are centered around their chosen god before heading into grid-based tactical matches. There, players will place and position their units while also using their god’s unique ability to swing the tide of the match in their favor. Smite Tactics will be fully playable using either a mouse and keyboard or a controller. According to Hi-Rez Studios, Smite Tactics actually began its life as an internal paper-based tabletop game played with dice and game pieces before the studio decided it was fun and engaging enough to be made into a fully fledged digital experience. Hi-Rez is planning to bring Smite Tactics into a closed beta period sometime later this year. You can sign up for the closed beta via the official Smite Tactics website. For more on the latest Indie Obscura news, be sure to check out our previous coverage of Nintendo’s newly unveiled Nintendo Switch console, PopCap’s new PvZ collectible card game Plants vs. Zombies Heroes, and the results of the 2016 IndieCade Awards Festival.